Distressed by a disastrous West End debut, young actress Lucy Waring was only too happy to accept her wealthy older sister’s offer of a holiday on the Mediterranean island of Corfu. Once there the caressing sun, the warm sea and the thrilling revelation that the nearest neighbour to her sister’s villa was none other than Sir Julian Gale, idol of the London stage since his mysterious disappearance two years ago, soon banished the whole miserable fiasco from her mind! Equally calculated to stir the curiosity of any woman, were Max, the actor’s handsome, but strangely unfriendly son, and attractive artist Godfrey Manning with his tame dolphin and his intriguing midnight sailing trips. Altogether, the stage seemed perfectly set for a fascinating holiday in blissful surroundings…until a sniper’s bullets and a horrifying discovery on the beach shatters Lucy’s idyll, pushing her into the most terrifying role of her career – as a leading lady in a real-life drama of treachery, dark passion and cold-blooded murder! Undoubtedly one of this country’s most successful literary ‘exports’ to America and reputed in some quarters to outsell James Bond, Mary Stewart is now known to a still greater audience through the recent filming of her superb romantic thriller, The Moonspinners. Not surprisingly, her latest book, This Rough Magic, is confidently expected to outshine even this success! 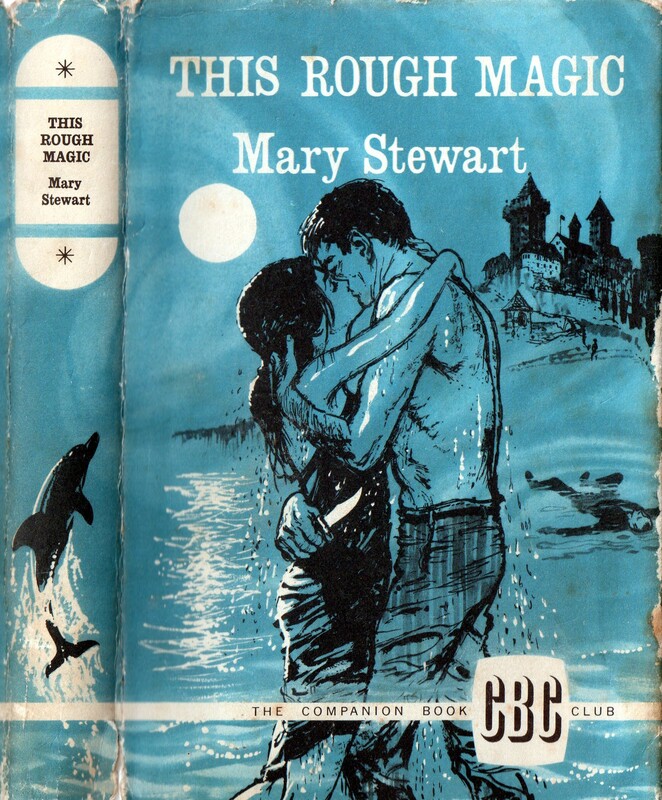 Copyright Mary Stewart 1964. Originally published by Hodder & Stoughton London, England at 18/-This edition published for members only by the Companion Book Club. 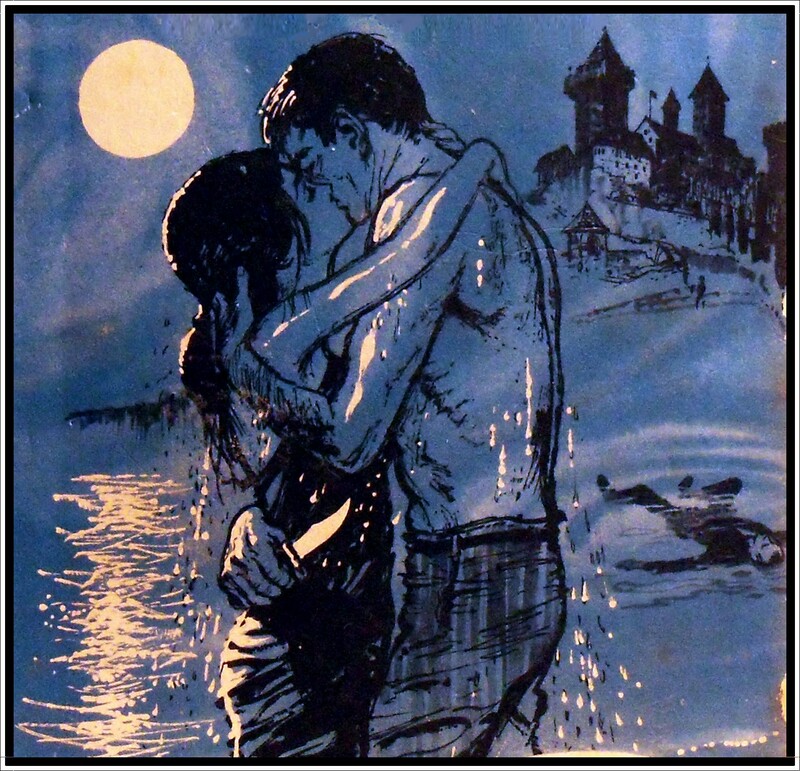 Cover art Victor Bertoglio. 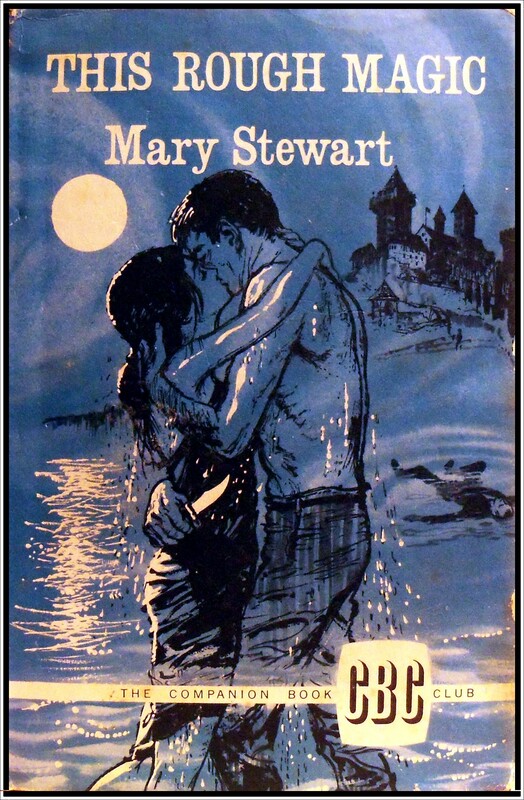 Ooooh, for a gothic romance blog, there just isn’t enough snogging gracing these pages, so let’s rectify such an appalling oversight with this lovely gothic penned by Mary Stewart. I was first introduced to Mary Stewart’s writing through her Merlin trilogy – The Crystal Cave, The Hollow Hills, and The Last Enchantment. My mum had all three novels and I must have been about 12 or 13 when I first read them. Retelling the legends of King Arthur from the perspective of Merlin, the author deftly interweaves legend and historical fact with her own imaginings to create a story that is believable, absorbing and enchanting. The Merlin of Mary Stewart’s novels was portrayed as a more human, more fallible character than that of his usual mythical persona – I remember there was always a question in her books as to whether the sorcery performed by this most favoured magician of King Arthur was indeed achieved via genuine supernatural ends, plain old trickery, good fortune or a combination of all three. And, far from deadening the magic of legend, her unique style of storytelling enhanced the wonderment of these tales. 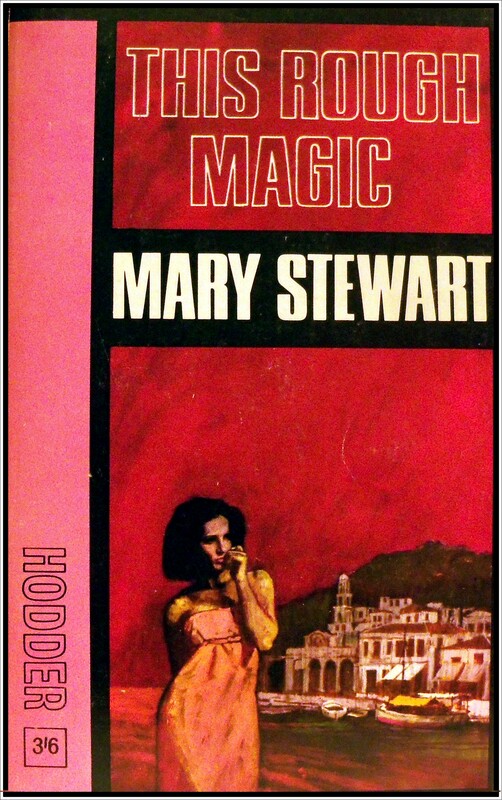 It wasn’t until I was in my late teens that I read any of Mary Stewart’s gothics, which I enjoyed just as much – The Ivy Tree and Wildfire at Midnight being two favourites that spring to mind – and shame on me for not having done any reviews of her work here, a situation I hope to put right over the next few months. Hmmm. For romance, intrigue and passion, I’m giving this cover a 5 out of 5. And it certainly looks a lot more fun than running away in your nightie!